To aid in the understanding of this Article of Faith, it is important to give a brief and very condensed history of Israel. In ancient days, the Lord made both temporal and spiritual promises to Father Abraham concerning his lineage that were extended through his son Isaac and grandson Jacob. Jacob later became known as Israel. Israel had twelve sons whose posterities became known as the twelve tribes of Israel. Although they initially co-existed peacefully, eventually they were essentially divided into two kingdoms known as the Northern Kingdom and the Southern Kingdom. The Southern Kingdom consisted of the tribes of Judah and Benjamin while the Northern Kingdom comprised the remaining ten tribes. Eventually the Northern Kingdom was taken captive/scattered by the Assyrians. Subsequently, the Southern Kingdom was taken captive by the Babylonians. In time, some of the tribe of Judah (the Jews) returned to Jerusalem. However, those ten tribes from the Northern Kingdom have remained lost and scattered. It is our belief that although the ten tribes are lost to the world, they are known to God and that He will still keep His promises made to Father Abraham. It is therefore necessary that God gathers Israel from the four quarters of the earth that they may receive these promised blessings. We believe that the gathering of Israel will be both of a physical and spiritual nature. This gathering has already commenced and, in part, consists of individuals coming to a knowledge of the divinity of Jesus Christ and entering into sacred covenants with Him. He knows His sheep and as their Shepherd, they will know His voice and be brought into His fold. This gathering will continue until the second coming of Jesus Christ which will be a real and literal event. At that time, the earth will be renewed and return to its Edenic state of paradise. 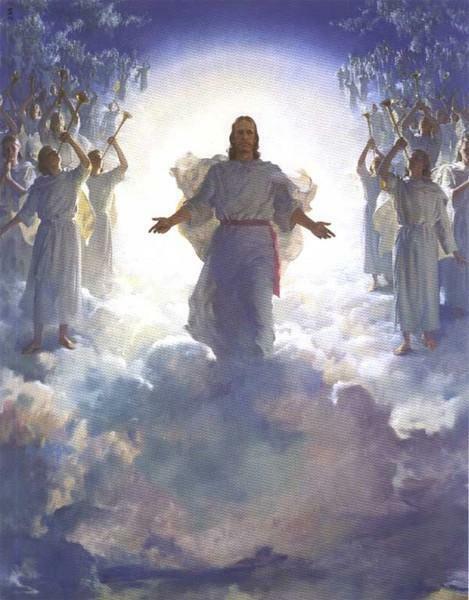 To learn more about the Second Coming, please read “Preparing the World for the Second Coming” by Neil L. Anderson. Next Week: Article of Faith #11–Mormon beliefs regarding freedom of worship.